The World Affairs Council’s Young Professionals Network (YPN) is comprised of a diverse group of individuals with a strong desire to engage in projects which have a global impact. YPN offers a wide range of networking and educational events, each with a unique international focus to foster global understanding and collaboration. 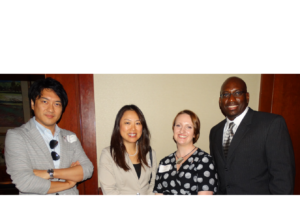 Motivated World Affairs Council of Austin (WACA) members aged 18-39 are eligible to participate in YPN programs. YPN’s goal is to foster the next generation of international leaders by providing forums which enable the open discussion of critical world issues. YPN Speaker Series: The series is designed to enable YPN members to engage with accomplished global leaders. Events feature special guest speakers with ample question and answer periods. Although speakers will discuss different topics, there is consistency in their ability to educate and engage their audience. Cultural Series: Fun, internationally-focused events designed to allow participants to interact and learn about cultures and traditions from around the world. Austin is a vibrant community of diverse cultures and ethnicities. The YPN cultural series aims to bring these cultures to the spotlight through international events. Our partnership with Austin Sister Cities International provides for a wide range of opportunities. Networking Events: Held at casual venues around Austin, these events bring together like-minded young professionals seeking to engage in intellectual conversation focused on global topics. Our signature World Affairs Trivia Night supports the central Texas Academic WorldQuest. Careers in a Changing World Workshops: Workshops feature panelists employed in international careers. Speakers present tips and other informational resources to encourage participants considering a global career. Mentorship Program: The aforementioned initiatives provide several opportunities for young professionals to expand their horizons. YPN takes it a step further through the mentorship program, in which individuals will guide young professionals. 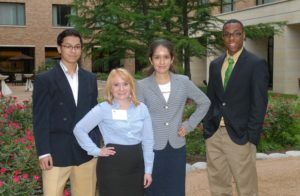 WACA Internship Program: Academic interns work on a wide variety of projects. When openings are available, an application will be posted on the Internship Program webpage.